A garment need not be complex to express elegance or versatility. 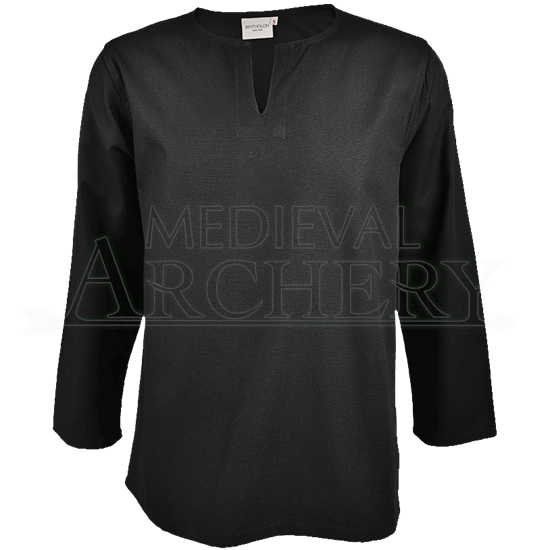 Sure to become a staple in historic and fantasy wardrobes alike, the Ruric Canvas Shirt sports a classic medieval silhouette in a trusted cotton canvas fabric. This long sleeve reenactment shirt features a round neck accentuated with a V-shaped cut-out front and center. Its straight fitting sleeves add practicality and refinement to its versatile design. 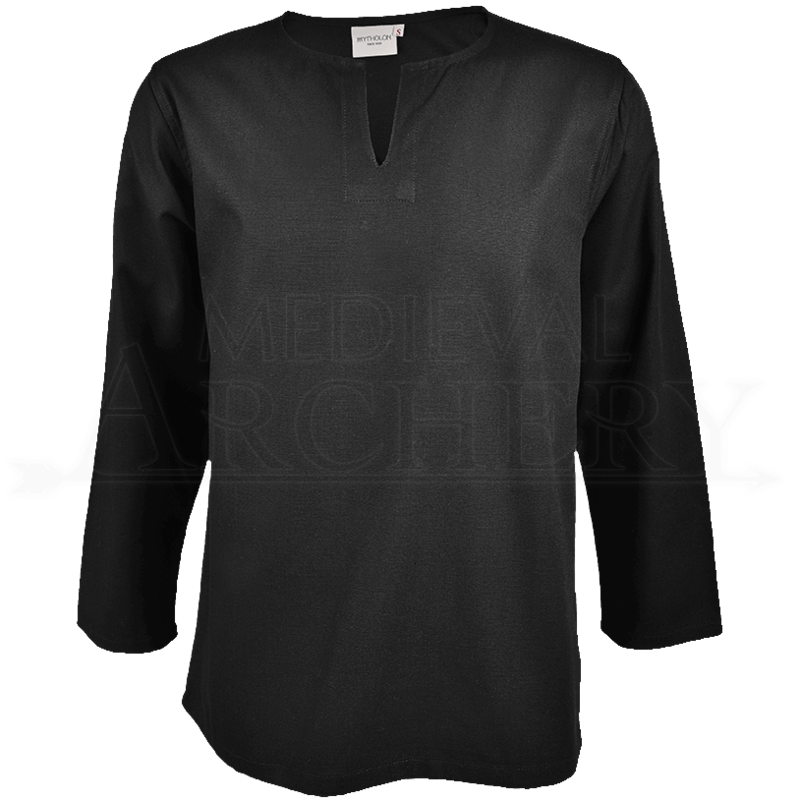 This mens medieval shirt suits a wide range of characters and settings, from medieval peasants and to craftsmen, nobles, knights, princes, rogues, and more. Whether worn for a medieval reenactment, LARP event, or Renaissance faire, or cosplay, the Ruric Canvas Shirt is easy to accessorize and coordinate with almost any historic or fantasy ensemble.